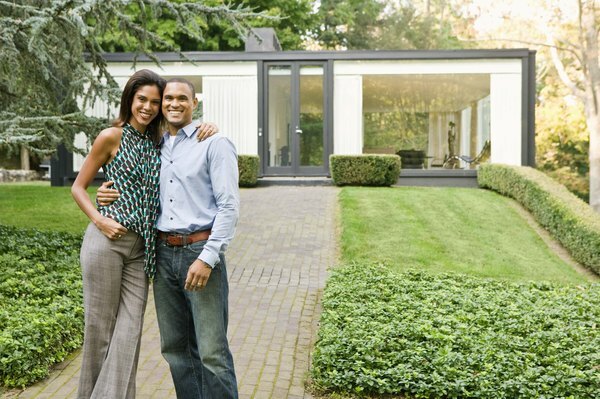 Home ownership can be a rewarding long-term financial investment. You and your partner are ready to leave the world of lease agreements and rental payments in favor of home ownership. If something needs to be fixed, you want to take it into your own hands rather than calling a building manager. This is an exciting time in your lives and even with a tight budget, there are a number of trade secrets that can help you land the perfect starter home. Make a list of home features that you must have. If you need at least 3 bedrooms in anticipation of a growing family, or you must have a fenced in yard for your dog, then make a list of these requirements to help with your search later. Keep in mind that, on a budget, things like granite countertops or stainless steel appliances are "nice-to-haves" but not requirements. You can always upgrade to features like these at a later date when your budget is not a limiting factor. Define your budget. Determine how much of a down payment you can afford, the amount of debt you currently carry and how much of a monthly mortgage payment you are comfortable having. Once you have these numbers tied down, approach a couple of mortgage specialists to discuss options. You should be able to find some wiggle room in your budget if you're willing to take on a riskier mortgage rate such as an adjustable or interest-only rate. If you only plan to stay in the home for a few years, then seriously consider a five-year ARM, or adjustable rate mortgage, to bring your payments down. Ask your mortgage specialist questions to make sure you understand the impact and risks associated with these types of loans. Search for unconventional homes. 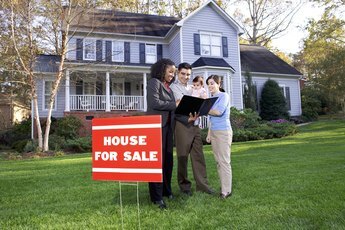 Buyers can get a bigger bang for their buck if they consider homes for sale by owner, foreclosures, short sales and homes offered for purchase through land contracts. Homes for sale by owner, or "FSBOs," save sellers around 6 percent by not listing through a realtor and paying commissions. This can translate into savings on the purchase price. 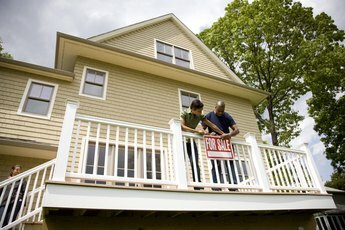 Foreclosures and short sales can be found on government websites. These homes are usually vacant and available for immediate possession at the closing, but, of course, be wary of any damage to the home and have the home inspected before purchase. Finally, land contracts allow you to purchase a home directly from the owner so that, rather than having a bank finance the loan, the home owner finances it. Keep resale values in mind. Just because you are on a budget doesn't mean you should buy a money pit that needs repair; nor should you buy a great house in a bad neighborhood. The saying, "location, location, location" exists for a reason. Location is extremely important when it's time to resell. Have the home inspected by a professional. Ensure your credit is in good standing. Michelle Boardman has worked as an information-technology consultant and trainer for numerous Fortune 500 companies since earning her master's degree in rhetoric from Purdue University. From technical training guides to professional editing for university publications, Boardman's eclectic experience includes graphic design, business analysis and copywriting. What Does Red-Tagged Real Estate Mean? 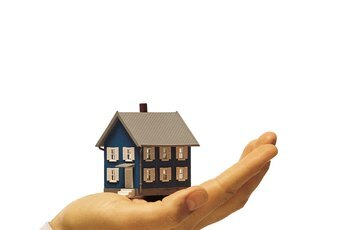 What Is a Home Buyout Program? 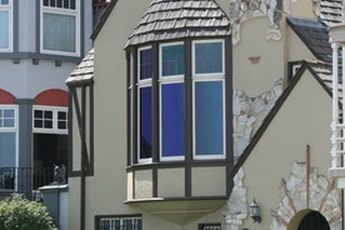 What Does Under Contract Mean in Real Estate?